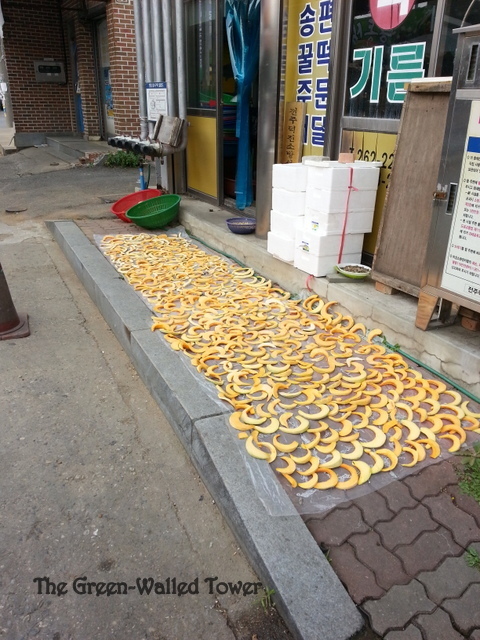 This entry was posted on Tuesday, October 29th, 2013 at 7:21 pm	and tagged with autumn, fall, Jeju, Jeonju, Korea, pungeobbang, rice, street food, taiyaki, Wanju and posted in Korea. You can follow any responses to this entry through the RSS 2.0 feed. 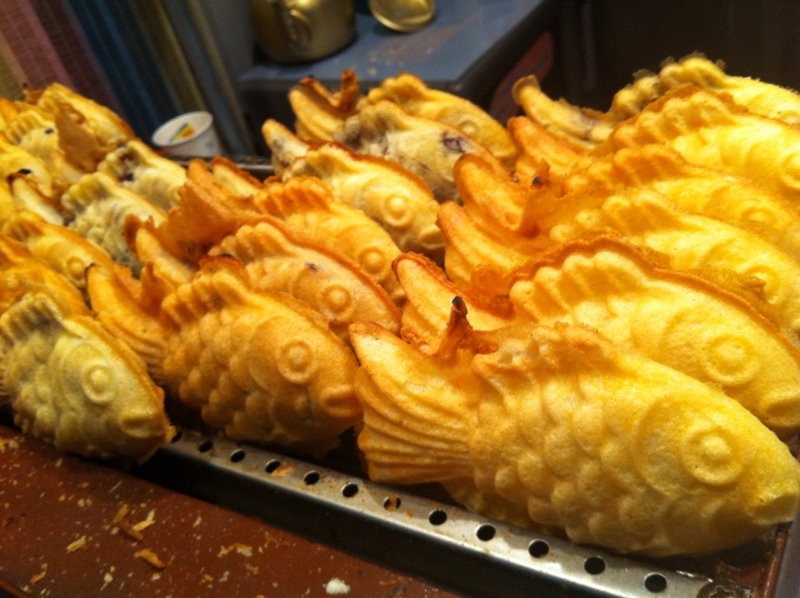 The fish bread looks delicious! I assume it is a sweet red bean filling. Yum! Well, the melons probably aren’t left out overnight and it might be cool enough that there aren’t any mice around. 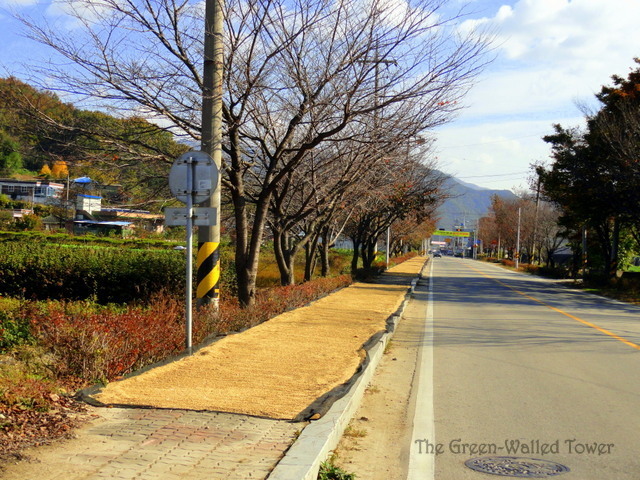 As for other wildlife, there isn’t much in Korea. While there are deer and other animals they stay in the mountains usually. Oh. I see. I guess that just leaves the human thieves, then. 🙂 Does S. Korea have any problem there with a lot of homeless people? There are some homeless people in the cities and more in Seoul, but not nearly as many as in some cities back on North America. At least not that i’ve seen. Yeah, that’s a great sight. This is cool, David. I love the fish cakes and the drying rice and fruits. I didn’t know it was such a communal city. What a great experience to live there. I absolutely adore fall. I think it’s my favorite season. We just got a chill in the air here, finally, and the leaves are falling and changing. Nothing too out of the ordinary here. 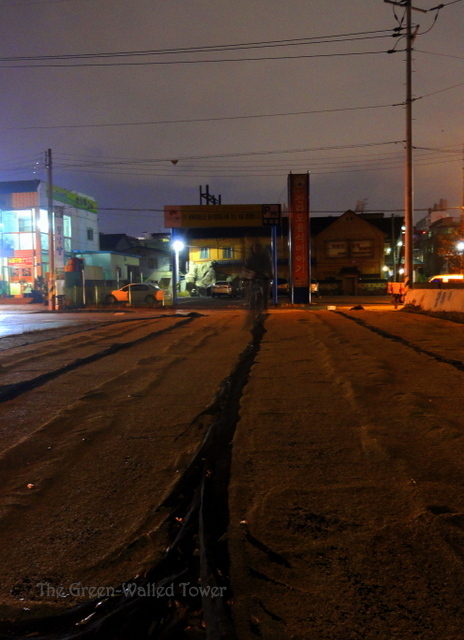 The practice of laying things out in the road is very interesting, especially because I’ve been attending a lot of presentations recently by employers looking for placement students. I’m pretty sure M&S specifically mentioned this (not necessarily in Korea, but they mentioned a few African countries,) as one of the reasons they visit all of their suppliers, as they would not consider it an acceptable way of drying foods for the reasons Joyce mentions! As for Autumn, I find it hard to get used to the earlier nights. The clocks have just gone back so I’m suddenly finding myself walking home in the dark. The only redeeming feature in my eyes are events like halloween and bonfire night. I have no plans for the latter. but even if I don’t go you’ll still find me making parkin and bonfire toffee! England! Bonfire night to celebrate the capture of Guy Fawkes before he blew up the houses of parliament! (Though that is not how it actually went, in reality.) I assume newfoundlanders celebrate bonfire night for a different reason? Newfoundlanders get the tradition from England although the historical reason is lost. I’ve always heard it called Guy Fawkes Night in England. I didn’t know you called it bonfire night there too. It varies I guess, there’s perhaps regional differences as well. There’s been a decline of it for various reasons, which is a shame. You love Korea a lot, don’t you? That bread looks and sounds delicious! 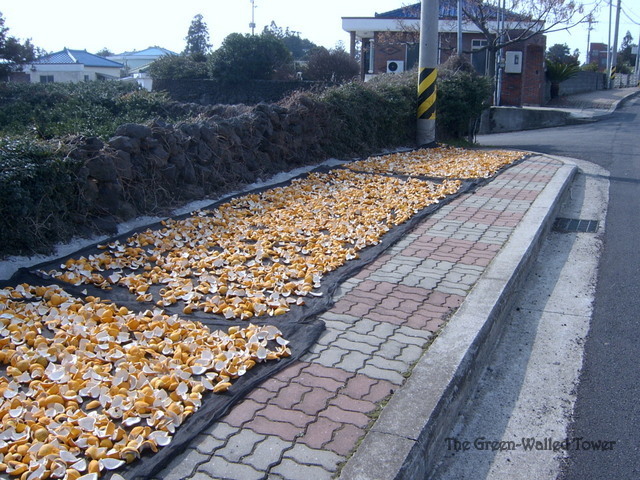 We don’t have fall at all, but those scenes of drying grains and spices is a common sight here as well! Oh, man, a hot red bean handpie would be delicious on a fall night! (I was actually thinking they’d be savory, didn’t occur to me that sweet red bean might be more likely in Korea until I read the other comments.) I think I’m gonna go online and look for a fish-shaped pie form. For me, my harbinger of fall comes in September, when the yellowjackets start getting hysterical — their lives are ending, so they start eating everything in sight; I’m guessing it’s to shore up the queen before she hibernates. Some days I’ll find numerous apples on the ground around the tree, each one crawling with a dozen or more yellowjackets chowing down.